Welcoming our patients to a practice filled with modern technology and at-home comforts. Experience exceptional dentistry in comfortable surroundings. We are proud of our office in Woburn, which fully utilizes state-of-the-art dental care equipment. We have a modern sterilization system, intraoral cameras for diagnosis, cavity detection equipment, lasers, and so much more. Our friendly and competent staff is dedicated to providing quality care and patient comfort. Offering the best and latest in dental technology and treatment options; we provide gentle, family-oriented Woburn dental care to adults as well as children. In addition to general and cosmetic dentistry, we work with specialists in Periodontics (gum disease), Endodontics (root canal treatments), and Implant Dentistry. Our office is conveniently located on Pleasant Street and is accessible via all major roads as well as the MBTA bus line. 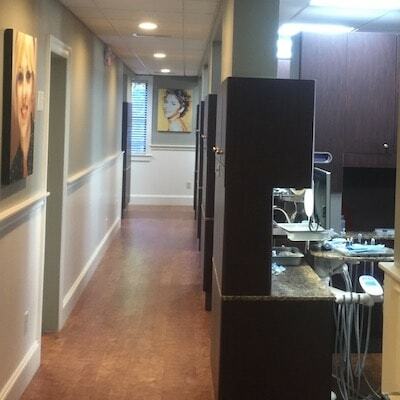 We look forward to welcoming you to our beautiful dental office in Woburn! Could not find a better experience when going to the dentist - trust me, I've tried many places before landing here. The entire staff has always gone out of their way to accommodate my schedule, make me feel comfortable, and never pressure me into any additional treatments or services. Our dental office in Woburn, MA uses the highest quality dental technology. 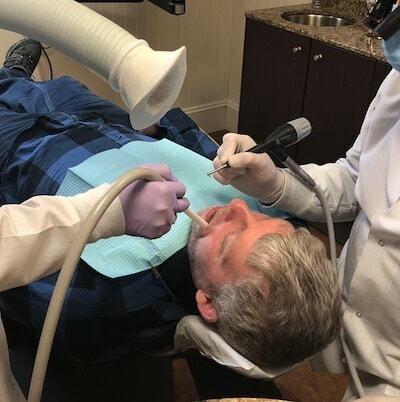 Air abrasion is making a splash in the world of dentistry, offering Woburn dentists and patients a way to eliminate plaque build-up and decaying areas of the teeth without the intimidation of loud, bulky dental equipment. Traditionally dentists use drills to remove tooth decay, but with dental air abrasion, drilling is unnecessary. This means more of the original tooth tissues remain intact while decay is removed and patients may experience less anxiety overall. Air Abrasion can also be used to remove teeth stains and prepare your tooth’s surface for a sealant or bonding. This service consists of a very fine air stream filled with aluminum oxide, baking soda, and silica ground into very small particles. The particles are combined with the stream of compressed gas or air, which your dentist then aims directly at the decaying portions of the tooth. Because the particle stream is so minute, even the tiniest areas of the teeth can be targeted, leaving more of the healthy tooth tissues behind. Woburn dentists are using Arestin, which is a time-released antibiotic designed to slowly treat infected areas below the gum line. Dentists typically use Arestin immediately after conducting a scaling and root planing procedure, or at a scheduled SRP follow-up visit. Arestin is completely pain-free and relieves patients of the need to take an antibiotic pill. By killing the bacteria that caused the periodontal disease, the gums are allowed to heal better. However, by killing the bacteria over the course of several days and using Arestin, we ensure the gum can heal thoroughly without worry of the initial treatment area becoming infected again. No need for dental film or processing chemicals for your dentist to be able to see the images. Your dentist can use color contrast in viewing and manipulating the X-ray image to see all of the details in the image. The benefits of digital x-rays are immense, the process is simple and painless, and you’ll be able to see the images when your Drs. Trainor and Mancuso review them with you. Offices that use intraoral cameras allow patients to be more interactive in the exam process, which provides patients with a greater sense of understanding and responsibility about personal dental health. The intraoral camera is not just a diagnostic tool, but it also serves as an educational one too. In the past, dentists have struggled to explain dental decay and other health problems to patients. Most people cannot see well into their own mouths, and this leads dentists to draw diagrams or use props in an attempt to explain what is going on in your mouth. With the intraoral camera, however, the patient sees exactly what the dentist sees on an in-office screen. If necessary, the dentist can pause on a particular tooth or area of the mouth to point out problems and explain possible treatment options. This also frees the patient to ask questions and become a part of the examination process. When dentists can point out specific places on the actual teeth that are decaying, patients may have a better idea of how home hygiene practices and brushing techniques are affecting them. Drs. Trainor and Mancuso can plan advanced treatments such as crowns and implants using Sirona 3D digital imaging or a CBCT scanner. This captures images of not only your teeth but also your entire facial structure (including both hard and soft tissue). 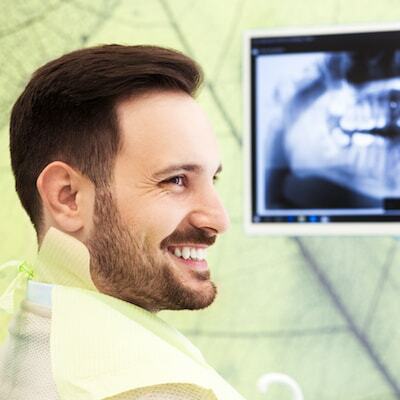 The images are similar to x-rays so your dentists in Woburn, MA can use them to diagnose, plan, and treat your smile. Cone beam technology can be used for planning surgical procedures, diagnosing bite issues, placing dental implants, and so much more. The process of capturing the 3-D images is so simple too! As a patient, you simply bite on the mouthpiece and images are taken in about 15 seconds. 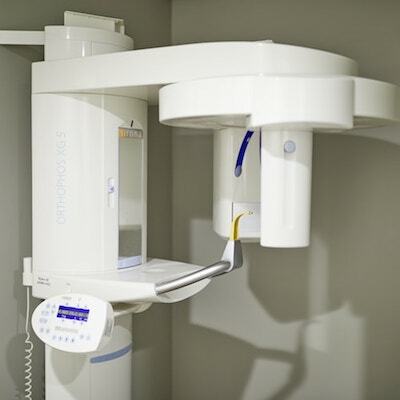 You’ll be exposed to less radiation and enjoy a more predictable outcome from your treatment. Your dentist will explain more about the procedure and uses the x-rays to help explain your treatment options. Through microscopic dentistry, our Woburn dentists achieve better visualization, which produces more precise and efficient results. Our microscopes can magnify an image by 2.6-16x. This improves visibility and thus helps us diagnose even the smallest problem. It also improves the accuracy of tooth preparations and margins allowing for more conservative treatments. Enhanced visibility and greater precision have a positive effect on all aspects of dentistry, especially, periodontics and restorative treatments. Our Zeiss microscope means it takes less time to perform root canals and shows our general dentists are following the highest dental standards. This form of dentistry is truly leading the way by uniting scientific techniques with modern dental care. We are proud of our office in Woburn, which fully utilizes state of the art dental care equipment. We have a modern sterilization system that uses distilled (bottled) water for our dental units. The use of distilled water removes any chance of contamination from regular tap water, which is used in most family dentistry offices. The DIAGNOdent Laser is the latest in cavity detection. This tool is much more efficient and reliable than the traditional method of cavity detection. First, the laser takes a reading of a healthy surface of enamel on your teeth. This reading is used as a baseline, i.e., a specific emission of light is reflected by the laser when it encounters a healthy area of the teeth. Next, the DIAGNOdent Laser scans the rest of the teeth. If the laser detects an area that differs from the baseline reading, the laser reflects a fluorescent light on a wavelength. This alerts the dentist to a potential problem area so that further probing may be done. With a method such as this, the laser can detect the smallest signs of decay on a tooth, something that was not possible using the traditional method.